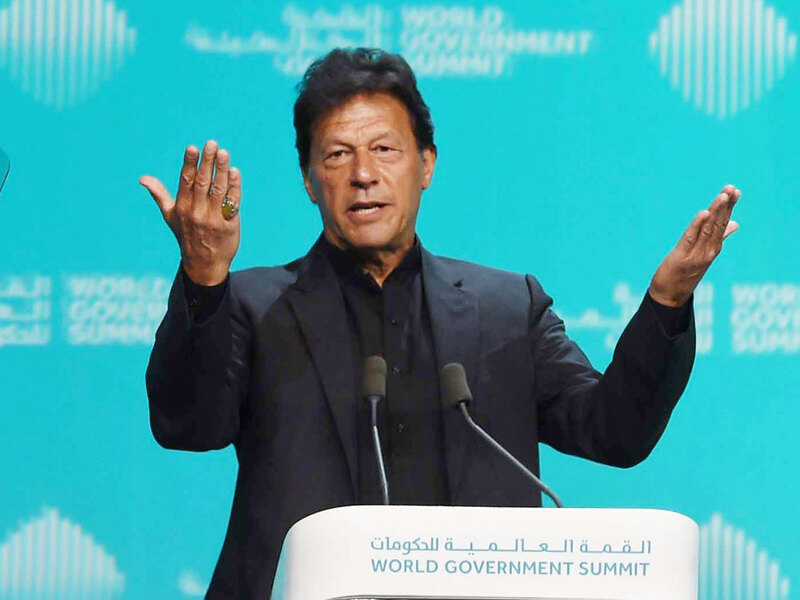 As Prime Minister Imran Khan, on February 10, 2019, addressed the World Government Summit in Dubai, in the assembly of a distinguished world leaders, including His Highness Shaikh Mohammad Bin Rashid Al Maktoum, Vice President and Prime Minister of the UAE and Ruler of Dubai, and business leaders from across the world, it was one of those landmark moments when Pakistan became the country that wasn’t trying to find its rightful place on the international stage. The warm and positive response of the very esteemed audience to the speech is an indication that Pakistan despite being a country with a massive negative branding, regionally and globally, is, at the moment, being viewed in a light that is not because of expected courtesy shown to a visiting dignitary but the deserving respect that is given to the person who is the new elected leader of that country. The open and affirmative response to the speech by the Pakistani expatriate community of the UAE is another sign that those who understand the old political, economic and other realities of Pakistan are also on the same page when it comes to their confidence in the leadership of the new prime minister of Pakistan. Imran Khan as the prime minister of Pakistan is that new image of Pakistan in which the leader of the country that is facing multiple issues on the internal and external front is just what he should be: honest, introspective, receptive, a fast learner, farsighted, and action-oriented. It is not about the inspirational words of Khan; many leaders mouth words that at best are nothing more than feel-good rhetoric put together by a team of advisers and penned by a speechwriter who believes in the power of a good turn of phrase and fancy vocabulary to camouflage the insincerity of the proclamations. It is not about presentation of the best side of Pakistan; many leaders do their best to put forth the photo-shopped version of the reality of the country under their governance. It is not lip-service, saying the right thing to the right crowd, hoping to elicit the desired positive response; many leaders excel at the art of oration that is aimed to evoke responses that do not last beyond the event, and the media headlines that trash or eulogise. 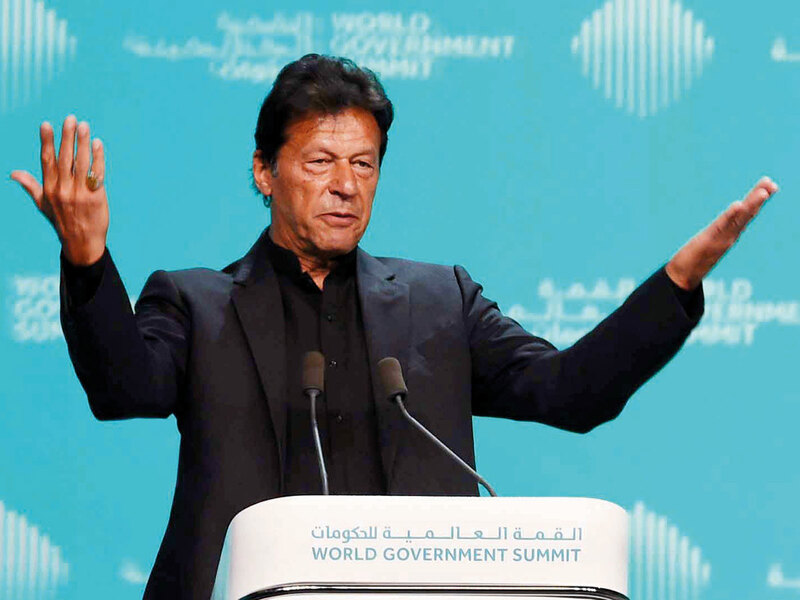 Khan in his unscripted speech at the World Government Summit in 2019, adding time-relevant ideas and plans, merely reiterated what has been his political mantra since the inception of his party, Pakistan Tehreek-e-Insaf, in 1996. The only difference and the one that really matters is that what Khan the politician said then and had been saying ever since were – even if taken with earnest seriousness, or mocked as empty words of a fledgling politician – mere words. What Khan the prime minister states now is the conviction and the verbal commitment of a prime minister whom millions voted into power to turn ideas and promises into action – and who is fully dedicated to the rehabilitation and strengthening to its full potential Pakistan for all 220 million of its people. What Prime Minister Imran Khan says is simple. That Pakistan has the potential and the promise and human and natural resources to make it a strong and economically vibrant country, ready for full utilisation of all that was ignored or misused or exploited in opportunism or squandered for personal gain and preservation of political hegemony. That Pakistan, despite its dynamic start, faced countless hurdles of military disruption of a systematic democratic order, excessive empowerment of bureaucracy that functioned on adhoc-ism instead of foresight, weakening of institutions and strengthening of self-centred individuals, bad policies and bad governance, irresponsible institutional and governmental supervision, dynastic politics that left little room for political advancement based on merit, lack of transparency, top-to-bottom corruption, and absence of accountability. That Pakistan, having learnt from mistakes that were enormous and the direct and collateral damage that was unquantifiable, is already on a course of correction, fully aware of the imperativeness of now or never. That Pakistan teetering on the precipice of an economic abyss and other issues of gigantic proportions, a remorseless and a shameless legacy of the military and civilian governments of the last three decades and more, is all set for implementation of a roadmap that is inclusive, growth-oriented, realistic, and most importantly, doable. That Pakistan in the leadership of Prime Minister Imran Khan may face many short-term hardships. But will in a few years, and in the long run, emerge strong, fair, prosperous, stable and peaceful. That Imran Khan may have been a flawed person and a flawed politician, but as the prime minister of Pakistan, Imran Khan is selfless, sincere, incorruptible, fearless and unstoppable. Pakistan for decades has needed a leader who loves Pakistan beyond his self. Imran Khan, in my view, and that of millions of Pakistanis, is that leader of a naya Pakistan that is all set to rise from the ashes of the old Pakistan. Yes, yes, I’m a bit of a drama queen, but then I always will be when it comes to that one entity that I love beyond clichés and chaos and bad prime ministers: Pakistan.